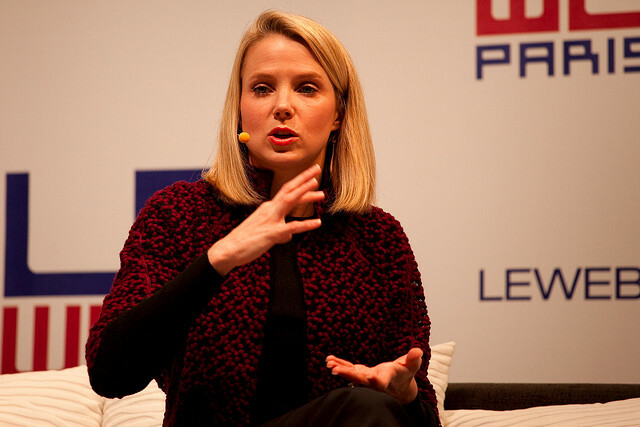 What Can We Expect From a Marissa Mayer-led Yahoo? Let’s focus on what this might mean for Yahoo!, exactly. First of all, Mayer has a ridiculous eye for consumer interaction. Her work on all of Google’s product, specially search and location, has been well documented. Basically, she knows her stuff, and has watched all of the interaction and data pour in from Google’s users since almost day 1. Now that Mayer will be in charge at Yahoo!, expect all of its products to have massive overhauls. Mind you, this won’t be an overnight transition, but if Mayer can do one thing, it is create cohesive consumer products. Basically, when you visit a Yahoo! page sometime in the future, you won’t have to wonder where on the Web you currently are. This could mean that Yahoo! Mail and Flickr could see some improvements and overhauls as well, which are arguably two of the company’s most promising, and used, products. They’ve also been slammed by other companies, including Google, when it comes to innovation. Google is good at getting rid of products that flat-out don’t work. Expect Mayer to clean house, and if something is a “dog”, it will be put in the “dog house” immediately. You can say what you want about Google’s seeming product-a-day approach, but when something isn’t performing, it rarely dies a slow and horrible death. See Google Buzz, for example. If you’re a shareholder of Yahoo! stock, then you’ve been wondering what in the heck the company has been up to over the past few years. From having numerous CEOs and acquisition false-starts, the company has fallen flat on its face. It’s been embarrassing for those of us that really do still love some of Yahoo’s products. I expect Yahoo’s stock to rise tomorrow when trading begins, it jumped 2 points quickly after the announcement, and you’re going to hear more people saying that they’re “long” on Yahoo! for the first time in many years. In addition to these changes, I expect Mayer to shake up the executive team as well. Will other Google employees join her? You can bet on it. This transition and process could takes months or a year, but you will see Marissa Mayer surround herself with the best staff that Yahoo! can buy. This hasn’t been something you’d expect from the purple and gold recently. This is a big day in both Internet history and Yahoo! history, and it will be interesting to watch someone with serious experience in making consumer products whip a company into shape. Yes, even if it’s Yahoo!